Do we have tricks or treats in store for you? As you may notice, we share a whole building with other offices and we’re feeling a tad bit festive. If you’ve been in to see Dr. Co over the past month, you may have been greeted with pumpkins in the hallway or passed by Halloween decorations on your way out. We love the autumn season so we must play tribute with some festivities! Rather than grabbing candy on your way out, why not do it the old fashioned way in costumes going door-to-door trick or treating? 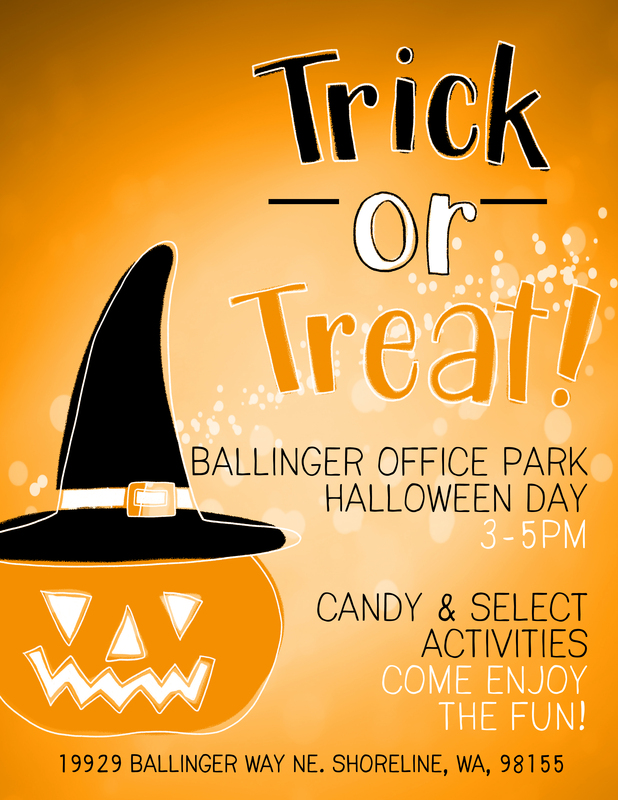 If you stop by our office building between 3-5pm on the day of Halloween, you will be treated with candy and even activities! 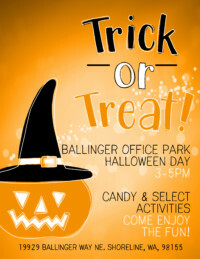 Our office building is located at 19929 Ballinger Way NE. Shoreline, WA 98155. Can’t wait to see your costumes!